If you responded “Chess Club” you are correct! The Middle School is a busy place! Besides high quality academics, students enjoy a wide variety of opportunities to explore and excel beyond the classroom. 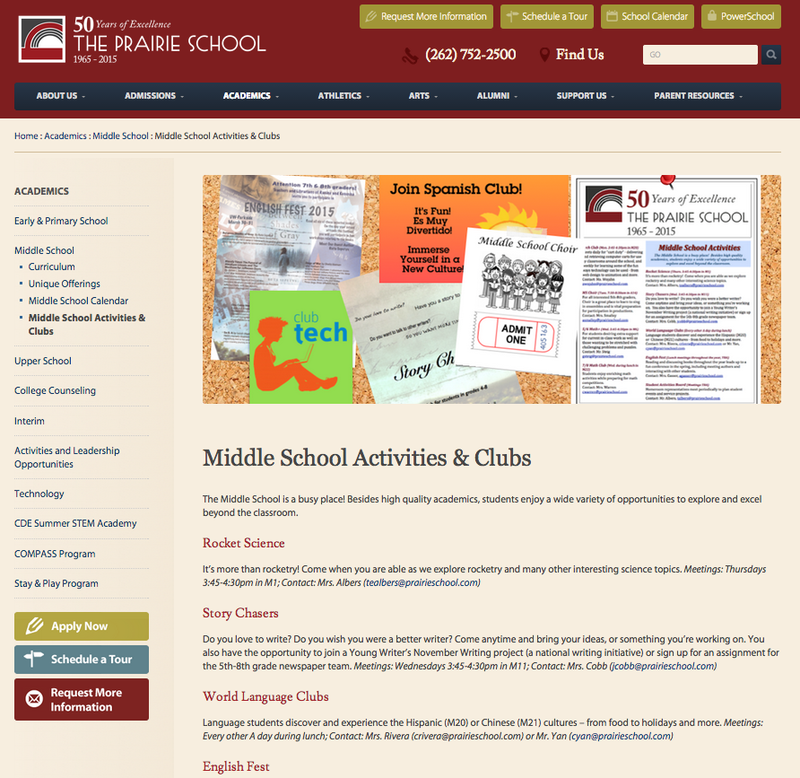 To view a full list of offerings, visit our Middle School Activities & Clubs page.